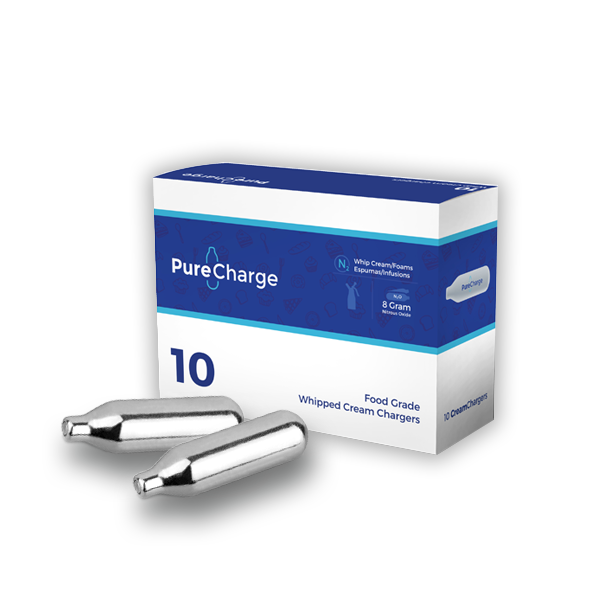 PureCharge nitrous oxide whip cream chargers are one of the highest quality cream chargers on the market. Using the latest filtration technology for unmatched purity. You will not discern any off-taste in even the most subtle whips. Try this superior cream charger for guaranteed satisfaction. PureCharge N2O cream chargers are the highest quality Nitrous Oxide (N2O) whipped cream chargers available, at the most economical price. Manufactured in a new modern factory with state of the art equipment and quality control. ISO 9001, NSF/ANSI 18, German TÜV-Mark, PureCharge is truly the highest quality N20 gas available by Mornington Marketing. All chargers are individually weighed and stamped with a lot number that can be traced back to its date of manufacture. Each charger is filled with culinary-grade N20. No oily residues. 100% stainless steel finish preventing moisture from causing rust on top of the charger. 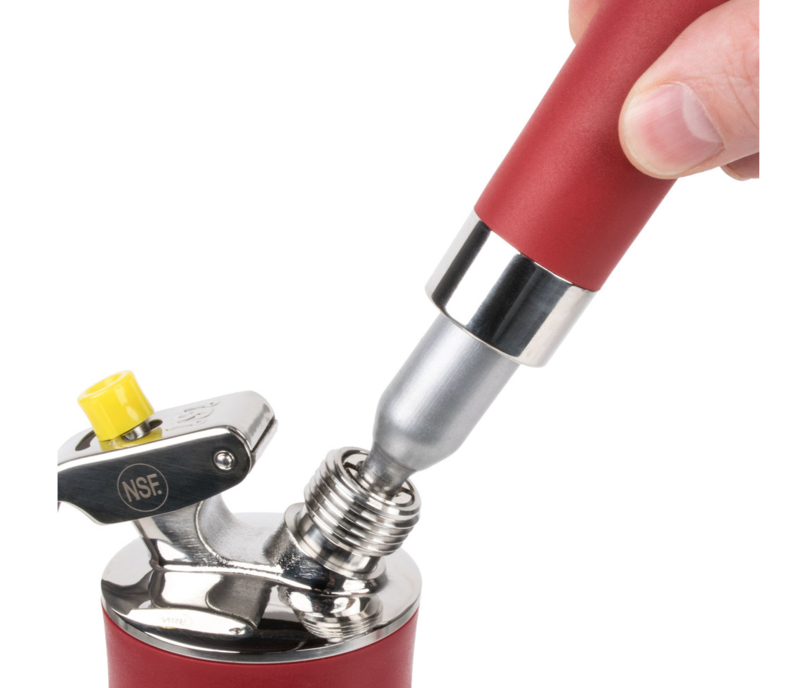 Used By professional chefs, restaurants and coffee shops throughout Australia. PureCharge offers a clean pure charge for every culinary creation. Filled with certified pure food grade N2O. No oily residues. Weighed electronically with no-dud guarantee. 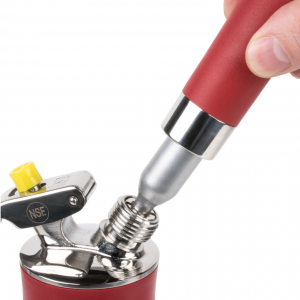 Compatible with all standard whip cream dispensers including iSi, Mosa, Kayser and Liss.